With UNU's Aero Wireless series, we thought, "Well, here's another battery case, probably as competent as a Mophie, but certainly not better." We were mistaken for one simple reason: freedom from wires is a godsend. There's a history of wireless charging phones: Palm Pre, Nokia Lumia, and others were all able to charge wirelessly, sometimes with optional batteries and specialized solutions built in to battery doors. Companies like Energizer and Powermat also made third-party wireless charging accessories as far back as iPhone 3GS and iPhone 4. It turns out, this is a really great idea. It's even better when it's done without the expense of Qi technology, Powermat technology or other complex methods. 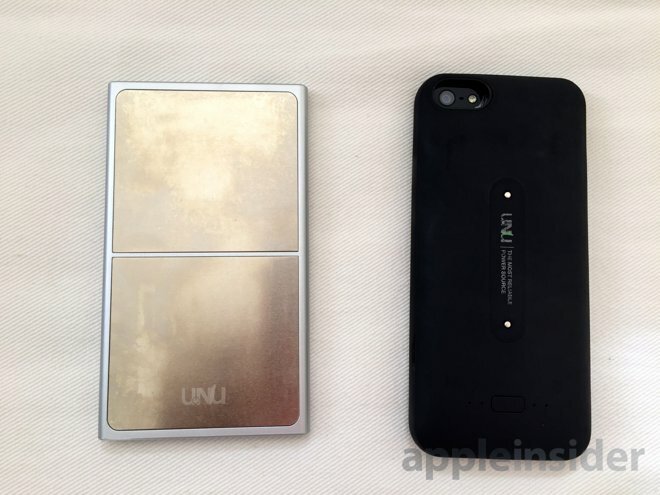 Instead of inductive wireless tech, UNU has instead taken an approach that uses two contacts on the back of the case and a charging pad composed of two large metal squares divided by a strip of plastic. Set the phone down anywhere on the pad, and it charges. Polarity doesn't matter, either; set it down in either orientation and it just works. The plate, called the Aero Pad has rubber feet, and the charging case has magnets embedded in its back so that it stays put while charging. 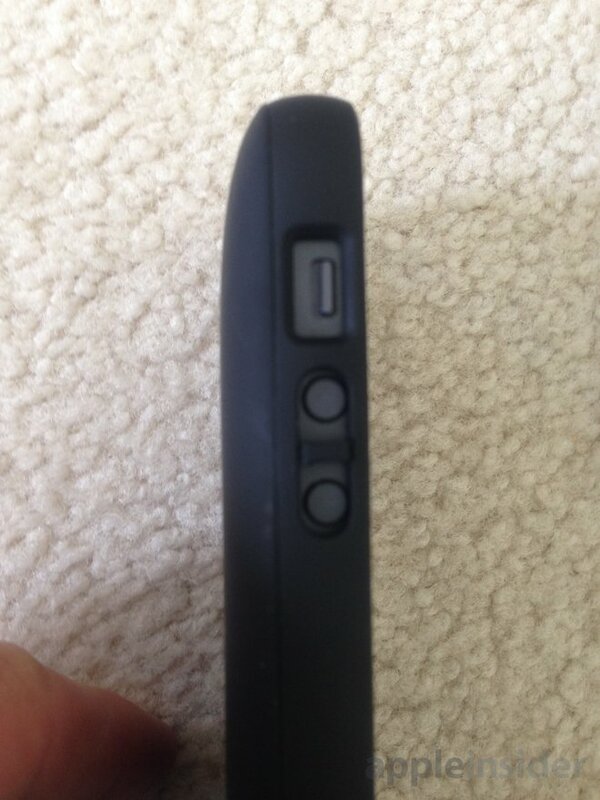 The battery case is as thick as most other battery cases, and we would gladly use it as our full-time iPhone 5/5s case. In addition to doubling battery life, being able to set the phone down on the counter and know that it's charging is a huge convenience. Using the battery case is similar to other battery cases we've tried. When the phone is in the case, it does not charge the phone by default. Pressing the button on back powers up the pack and starts the charging process, and when the button is pressed again, it will stop charging the phone. In all cases, pressing the button causes the fuel gauge LEDs to indicate the charge of the battery case, even when not attached to an iPhone. It wasn't all perfect, however. The sleep/wake and volume up/down buttons on the case are not very robust, and broke out on more than one example of the case. UNU replaced the defective unit quickly with no fuss. While we like the case very much, when the buttons broke out we were unable to use sleep/wake or volume up and down, so the buttons breaking were a significant loss of functionality. It is possible that we're just very hard on cases, but we haven't had this kind of problem in the past with other case designs and materials. With the UNU, the case plastics are all the same durometer, and the buttons act as fingers that flex at the one point they connect to the body of the case —which is where they broke. Other cases that we've had which have been more successful for us have had the buttons rendered in TPU, either as an insert, or as an overmold over the hard polycarbonate shell. 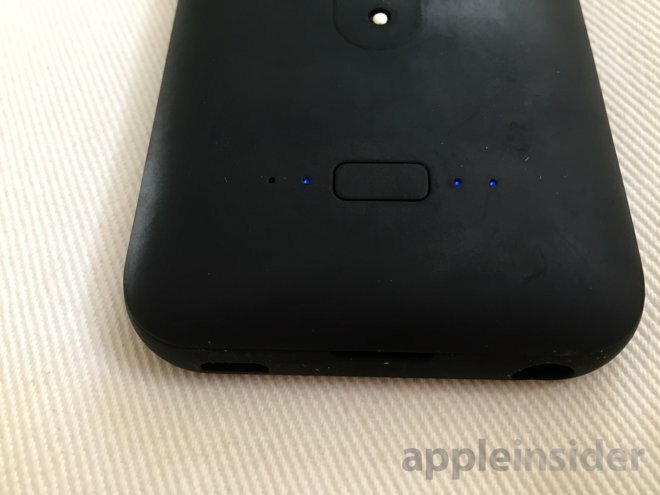 During an extended test period, over the course of a few months, we had no difficulties using the battery of the battery case to charge the iPhone, however. The internals are top-notch. It should be noted that, aside from the wireless mat option, users can opt to charge up the battery pack via a MicroUSB cable. 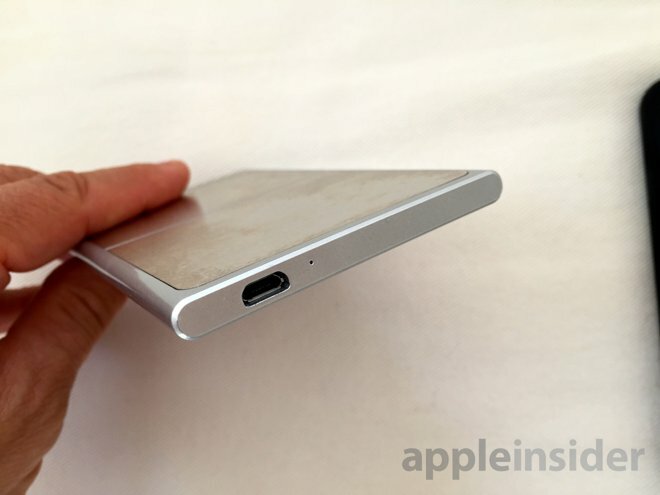 The charging pad itself is powered by an included Micro-USB cable that connects to a wall adapter. Despite the power and volume keys popping out of the case with heavy use, the design and utility of UNU's Aero is excellent. Wireless charging turns out to be a huge convenience. 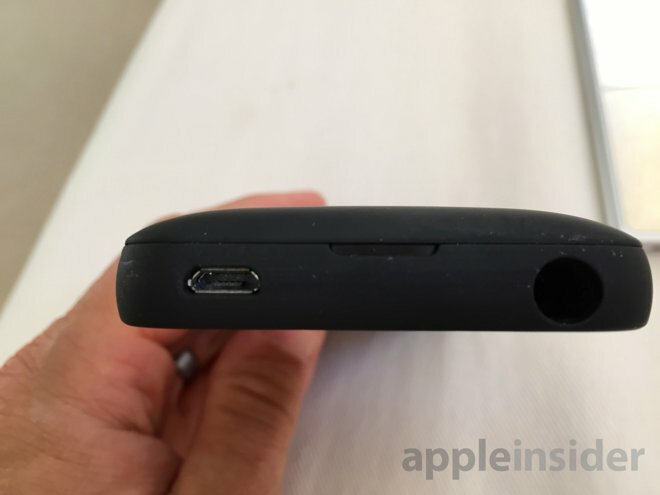 Other battery cases solely use a MicroUSB connector, which we find to be a less than ideal connector. Here, while it's possible to use the MicroUSB connector on the case, we never actually did in practice. Wireless charging is just too good of an experience. The UNU Aero Wireless Charging Battery Case is priced at $59.99 from Amazon and is available in black and white color options. Additional Aero Pads are also available for $24.95 each.